Implemented in January 2015, the Canadian Express Entry program is Canada's new system for managing immigration applications for several of the country's economic immigrant programs including Federal Skilled Worker, Canadian Experience Class, and Federal Skilled Trades. People interested in immigrating to Canada to live and work on a full-time basis, who meet the criteria for at least one of these immigration programs, can formally express their interest in becoming a permanent resident of Canada by creating an Express Entry profile. Once added to the Express Entry pool, candidates will be scored according to the program's point-based Comprehensive Ranking System (CRS), and this score will determine the candidate's rank within the pool. People with the highest scores will then be invited to apply to immigrate to Canada as permanent residents. Citizenship and Immigration Canada (CIC) invites the highest ranking candidates from the Express Entry pool to apply for expedited Canadian immigration on a frequent basis via official "rounds of invitations". In order to be selected in one of these Express Entry draws and issued an Invitation to Apply (ITA), an applicant must rank near the top of the pool of potential candidates according to the Express Entry Comprehensive Ranking System. The program's CRS will assess the details of a candidate's Express Entry profile and rank them according to major predictors of economic success, factoring in their education, skills, work experience, language abilities, and a variety of other elements that are known to help migrants flourish in Canada. Provinces and territories, as well as eligible employers in Canada, can also directly recruit potential immigrants from the Express Entry pool, and candidates who receive an eligible job offer or an enhanced provincial nomination are awarded a significant number of points giving their Express Entry score a major boost. 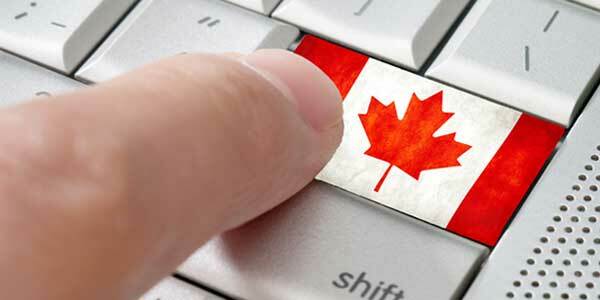 In order for Canada to assess a potential immigrant's eligibility for Express Entry, the program requires that applicants create an online profile containing all their credentials. Once an Express Entry profile has been created for the candidate and he or she has been accepted in the program, the potential immigrant's profile will be put into a pool with other candidates and potential employers and provincial nominee programs can then compare the different applications. If an eligible employer or Canada PNP chooses a candidate from the Express Entry pool, he or she will then receive 600 CRS points for the enhanced provincial nomination or up to 200 points for the qualifying job offer. There are then official Express Entry draws where top candidates are given an Invitation to Apply (ITA) for Canadian residency. In order to participate in the Canadian Express Entry immigration system, you must satisfy all the Express Entry criteria including the requirements of one or more of Canada's economic immigration programs. If you do not meet the Express Entry requirements, you will not be accepted into the system's pool of candidates. Where it asks if you have a Canada PNP Express Entry nomination, change your answer to "yes"
Click "accept" at the top, and you will be instantly awarded 600 Express Entry points on your CRS immigration score. You have 30 days to accept a PNP Canada nomination in Express Entry before it officially expires. Receiving a notification of interest (NOI) from a province is not the same as receiving a provincial nomination. If you have received a notification of interest from a Canada PNP program, and you wish to be nominated by them, you must then apply to that province's Express Entry stream. In Express Entry, a prospective immigrant can only be nominated by a single Provincial Nominee Program at one time. If you have received a Canadian PNP nomination in Express Entry, and you wish to accept a provincial nomination from a different province, you must first click "not accept" on the original nomination. The Federal Government of Canada has announced their 2018 Canadian immigration levels plan. In 2018, the Government plans to accept 300,000 Canadian permanent residents, the majority of which will be selected from economic immigration programs. Citizenship and Immigration Canada is aiming to approve 172,500 applicants and accompanying family members under economic class immigration programs such as Canada Express Entry, Quebec Skilled Worker, and the various Canadian Provincial Nominee Programs. For additional information about immigrating to Canada through Express Entry, you can visit the official Government of Canada Express Entry immigration website here. In general, labor market demand will determine the successful applicants for the Express Entry program, as a job offer, nomination from a province or a positive Labor Market Impact Assessment (LMIA) can give an applicant extra points that may enable them to rank highly enough to qualify for a Invitation to Apply. This also means that any shortages found in the Canadian job market can be assessed and addressed in a short space of time, which could be extremely beneficial to Canada's economy. Citizenship and Immigration Canada's commitment to processing most Express Entry PR applications within six months of being submitted means that many Express Entry applicants will be able to enter the job market and start contributing to the Canadian economy in a very short space of time. If an Express Entry Canada immigration candidate is selected out of the pool during a "round of invitations" (Express Entry draw), he or she will then be given an Invitation to Apply for Canada PR. Once given an ITA, applicants have 90 days to submit their application for Canadian permanent residency.